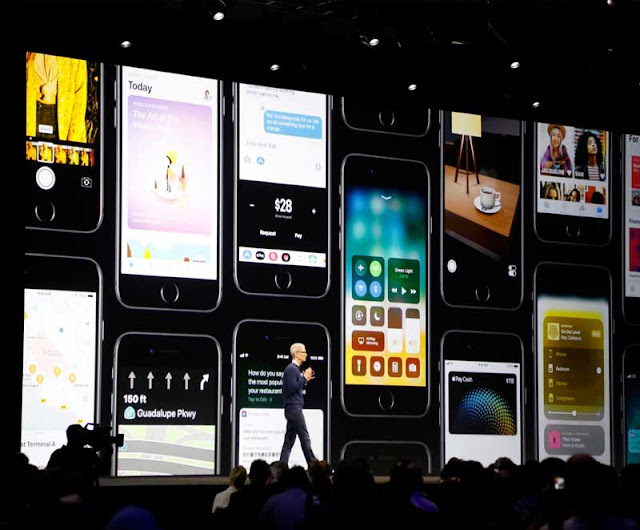 Although WWDC is mainly focused on the software and developers, this year WWDC was a bit different. This is the company’s developer conference, where Apple has mostly focused on software news, but this year they did slight different. We got a bit of everything major software updates, new devices as well as a sneak peek at Apple’s roadmap for the coming months. In this article, we are going to talk about the 8 major announcements Apple did in WWDC other than much-talked iOS 11. Apple unveiled watchOS 4 on Monday, the newest version of the operating system for the Apple Watch. It features a couple of new watch faces, the most important of which puts Siri cards front and center. They can tell you things like when to leave for work, the music you're playing, how your workout is going and more. WatchOS 4 has a new workout UI, support for two-way data exchange with workout machines and more. macOS High Sierra is the successor to Sierra, announced last year. It supports virtual reality headsets, something Apple hasn't ever offered before, security improvements to Safari that help further protect your privacy, new photo search features and a new Apple File System by default, which should mean more secure storage. High Sierra will be available in the coming months. Apple finally refreshed the iMac after more than 600 days without doing so, adding a sharper and brighter display and new Intel processors. It also brought those seventh-generation Intel processors over to the MacBook Pro, which is otherwise unchanged, and boosted the speed of the chip in the MacBook Air. The biggest announcement was the iMac Pro, however, which will start at $4,999 and includes beefy new processors, a 5K display, and a sharp design. Apple said it's "the most powerful Mac we have ever made." Apple showed a new iPad Pro 10.5 during the event. It features a brighter display with a faster refresh rate, which is important which watching things like movies or playing games. It also sports a new A10X processor that should improve gaming and overall app performance. That chip and the new screen were also added to Apple's iPad Pro 12.9. Apple did not refresh the 9.7-inch iPad Pro. The only brand new product announced was the HomePod speaker. It's a Siri-powered smart speaker that allows you to play music, check the traffic, control you smart lights, query sports scores and more. Sound familiar? That's because it's very much like the Amazon Echo and Google Home. Apple says its product is better, though, thanks to advanced speakers that will fill your room with music. It'll cost $349 when it launches in December. The iMac is getting a much-needed update, with higher RAM capacity (32GB on the 21.5-inch iMac, 64GB on the 27-inch iMac). SSD drives will also be 50 percent faster. And it’s going to come with some high-end AMD graphics cards. The 4K 21.5-inch iMac now starts at $1,299. iMessage apps may or may not be a great idea, but it’s hard to know for sure because they are so hard to use. Instead of having to tap on three different buttons, Apple is going to show a convenient shortcut drawer to launch your most useful iMessage apps. This is how you’re going to be able to send money to your friends using Apple Pay, too. The App Store is getting a complete redesign. It looks a lot like Apple News, which isn’t necessarily a bad thing, as the Apple News app looks much more modern than the current App Store. There’s a “Today” tab, as well as two separate tabs for games and apps. There will be a big focus on content, text, and images with this redesign.